← What are GABA Receptors and Why are they Important? Gamma aminobutyric acid is an amino acid neurotransmitter in humans and animals. Synthesis of GABA occurs naturally in the brain of animals, and here it is used as an inhibitory neurotransmitter. In this regard, when GABA is released from neurones it decreases electrical excitability in adjacent neurones, producing relaxation and calmness. A number of foods can be fortified with GABA and evidence suggests that taking these foods may increase brain levels of GABA and may produce an antianxiety effect. Typical GABA concentrations in plants are 0.03 to 2 μmol/g fresh weight but can increase in response to environmental stress. The GABA content of rice has been shown to increase during germination of rice by soaking rice grains in water for 24 hours, followed by exposure to darkness. This causes the rice to germinate and this significantly increases the GABA content of the rice. This rice can then be used to create flour that can be added to other foods such as yoghurt to significantly increase the GABA content. The GABA content of foods can be increased significantly by use of lactic acid producing bacteria, such as Lactobacillus sp. The fermentation of milk using Lactobacillus sp. bacteria for example, can increase the GABA content significantly to about 67 mg per litre. This amount of GABA may be enough to have physiological effects in humans if drunk regularly. The GABA content of ungerminated paddy and red rice has been shown to be 0.86 and 1.03 mg per 100g, respectively. When grains of paddy rice were germinated in darkness for 40 hours the GABA content increased to 13.09 mg, which is 15.2 times higher than ungerminated rice. Soaking and germinating red rice for between 8 to 48 hours increased the GABA content of the grains to between 2.55 and 21.32 mg per 100 g. The soaking is known to activate the hydrolytic enzyme glutamic acid decarboxylase, which explains the increase in GABA content of the rice. Darkness is known to increase the activity of glutamic acid decarboxylase further. Enriching yoghurt with 30 % red rice flour was shown to increase the GABA content from zero to 4.09 mg per 100 grams. 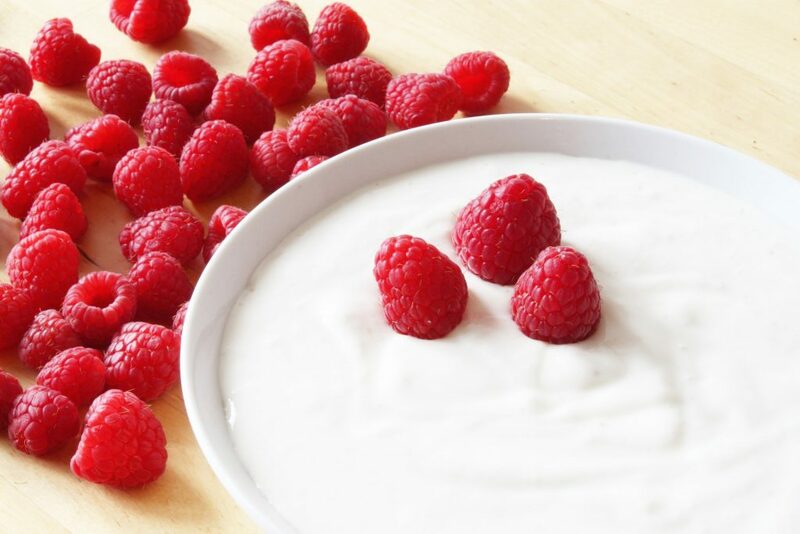 Addition of higher amounts of flour above 30 % decreased the palatability of the yoghurt significantly, but 30 % was considered palatable by consumers. Use of red rice flour as an additive in other foods may therefore be an effective way to increase GABA intake. This entry was posted in Anxiety, Depression, Gamma Aminobutryric Acid (GABA), Mood. Bookmark the permalink.